You are at:Home»All News»Design»Is this the big design trend of 2019? Is this the big design trend of 2019? 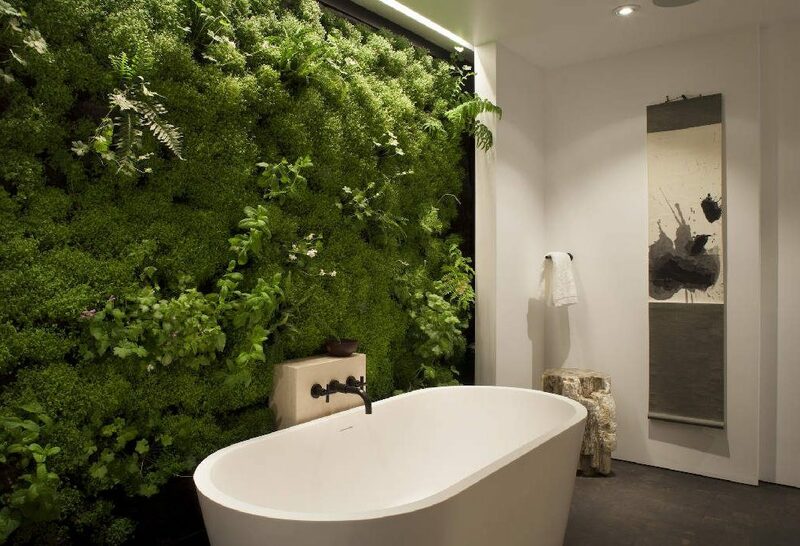 There are a number of benefits to greening a bathroom, including improved wellbeing and home air quality, absorption of pollutants and noise, and guaranteed aesthetic impact, now home improvement shows are driving the greenwall trend. “With so many benefits to green living and design, the trend is evolving and becoming more popular,” The Greenwall Company founder Mark Paul notes. He recalls that 30 years ago he built what is believed to be the very first greenwalls in Australia – now today with green design being an influential part of the public domain, design interest has progressed and he has seen a “significant increase” in demand over the past 12 months. “Adding a greenwall to a bathroom will give amenity and help regulate the temperature, and increase relative humidity and air oxygenation in your home,” he maintains. Peperomias – Peperomias clean the air with sympatric soil flora associations that bind and breakdown chemicals, such as formaldehyde or other indoor toxins associated with building construction and fitout. The Greenwall Company is the premier producer of modular and custom designed greenwalls in Australia. Greenwall can be used like cladding to produce instant ‘greenspace’ both inside and out. The Greenwall Company achieves water efficient planting that is resilient to inevitable short-term human and mechanical failures.